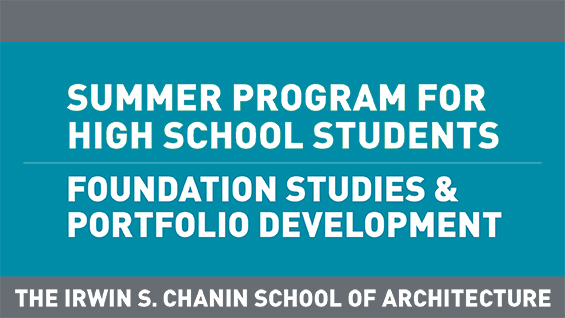 Accepted students to the Introduction to Architecture summer program, may complete their registration by paying the program cost by credit card through the Summer Program Payment Portal. If you have any questions or technical issues using the payment site, please contact Andres Ramos at aramos@cooper.edu or 212-353-4154. PLEASE NOTE: Only students who have recieved an official Letter of Acceptance email may proceed with submitting a payment for the course. If you have any questions regarding the status of your application please contact summerarch@cooper.edu.